It's love at first sight with Lesy Luxury Flower fresh collection's breakout bloom. 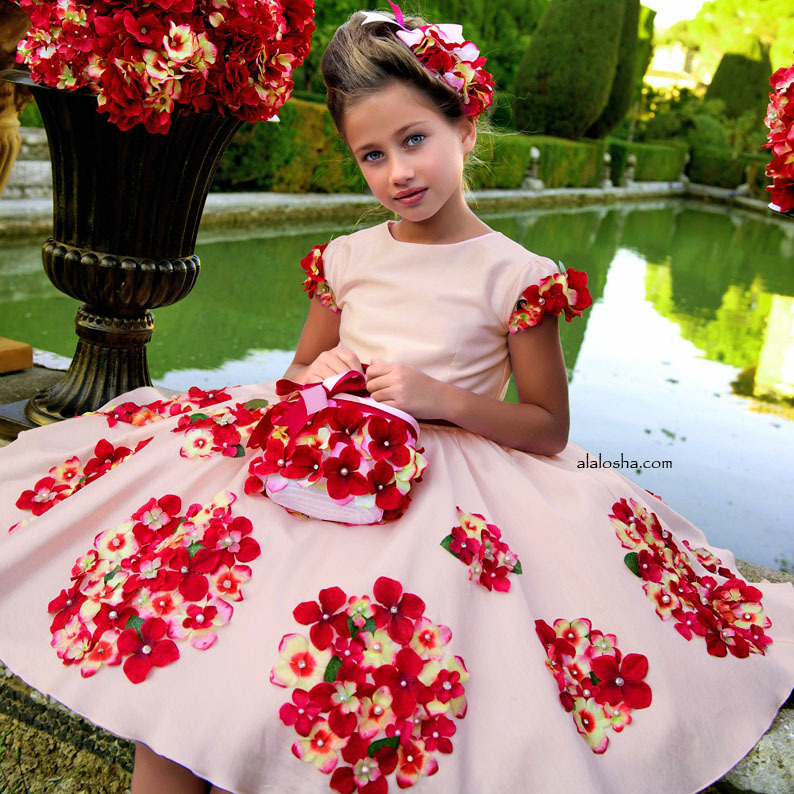 Girls beautiful pale and dark pink dress by Lesy Luxury Flower. Made from a lightweight cotton matte satin, it is decorated with hydrangea flowers in different tones of pink. With a fitted bodice, it has capped sleeves and a full gathered skirt with layers of stiff tulle lining under. Fully lined in a soft, lightweight cotton for comfort, there is a double satin and grosgrain ribbon belt that can be tied at the front or back of this very special dress. 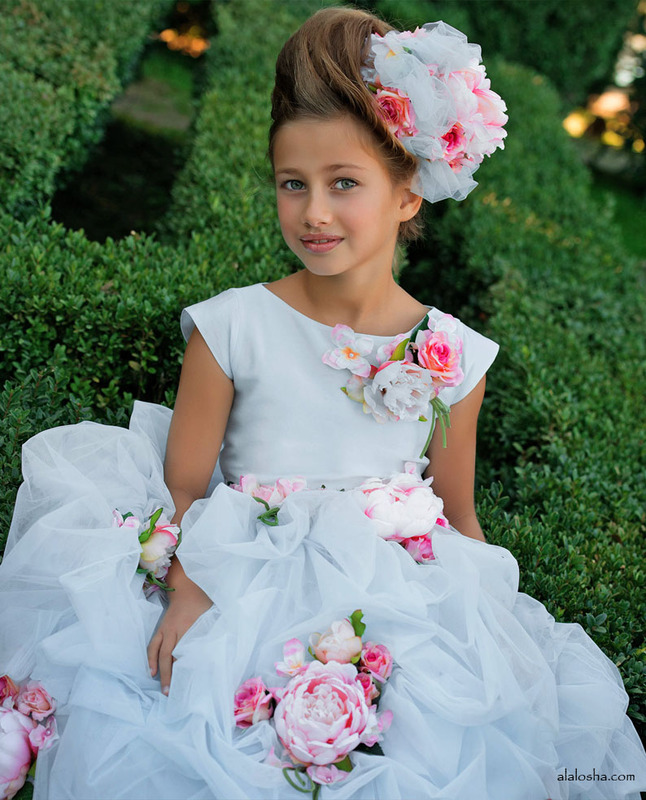 Girls beautiful, pale peppermint green, sleeveless dress by Lesy Luxury Flower. Made from a lightweight cotton matte satin it is decorated with hydrangea flowers in different tones of pink. 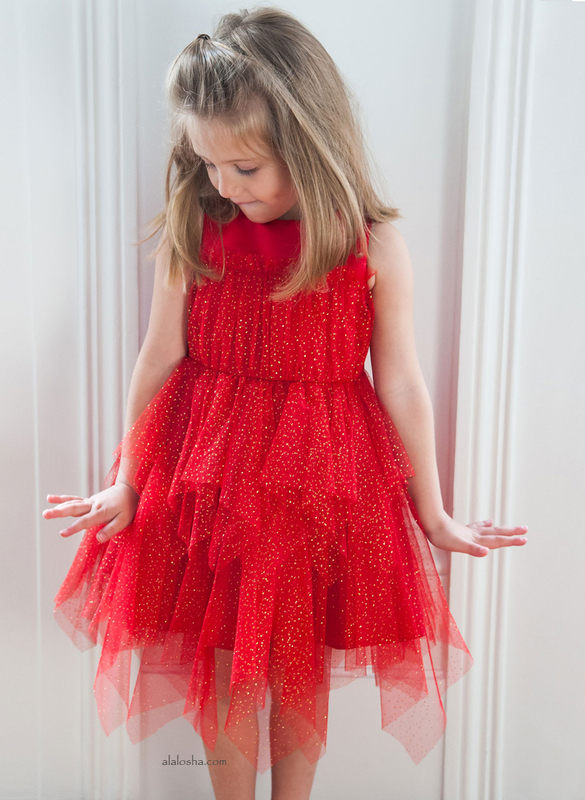 With a fitted bodice, it has a full gathered skirt with layers of stiff tulle lining under. Fully lined in a soft, lightweight cotton for comfort, it has a flower and ribbon belt that can be tied at the back in a bow. 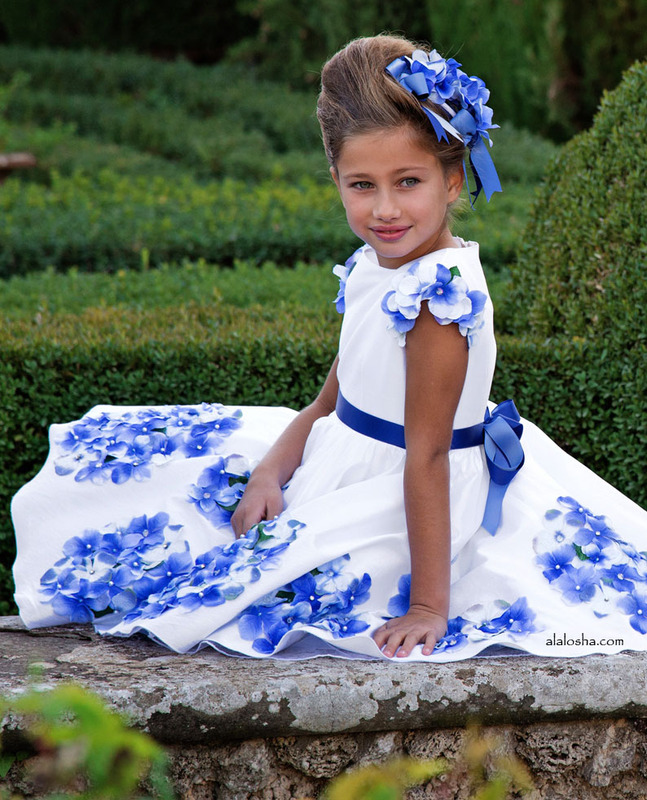 Girls beautiful white and blue dress by Lesy Luxury Flower. Made from a lightweight cotton matte satin, it is decorated with hydrangea flowers in different tones of blue. With a fitted bodice, it has capped sleeves and a full gathered skirt with layers of stiff tulle lining under. Fully lined in a soft, lightweight cotton for comfort, there is a double satin and grosgrain ribbon belt that can be tied at the front or back of this very special dress. 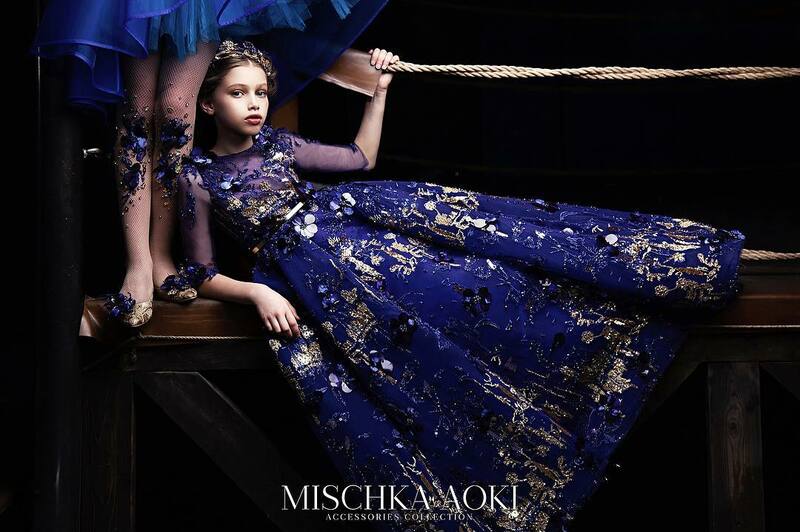 Girls dazzling capped sleeve dress by Lesy Luxury Flower. In soft sky blue, this beautiful dress has a fitted satin bodice and layers of scrunched up tulle with a satin lining form the skirt. It is adorned with beautiful pink peonies flowers, to create a spectacular design and it ties with a sash at the back. The separate petticoat skirt has an elasticated waist, layers of stiff tulle over a cotton lining adding extra volume and flare.